Here it is, the eternal struggle. You need money to survive, but you don’t want to make it doing something you don’t love. Of course, this is one of the hardest things to do in life, and does not get any easier as time goes by. But there is still hope for you. Millions of people make serious dough doing what that love. Now, the first thing you need to figure out is what you actually love. You are on Doob Dasher, and what we love here is dank weed, so hopefully you do too. That’s what we’re here to talk about today. How you can make good cash through your favorite green plant. The key here is that it needs to be legal. Pot isn’t technically legal, though its close, so we need to get a little more creative that you normally would. 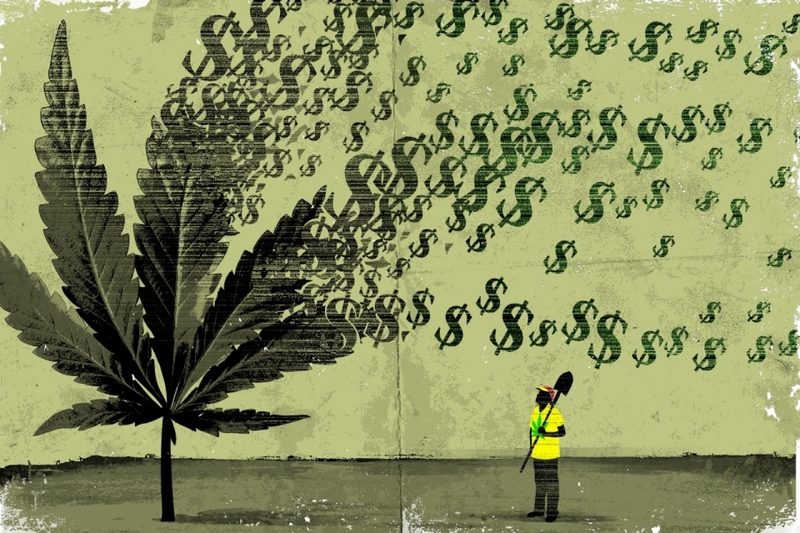 So, here are some of the best ways for you to make good, legal money from bud! Yes, we know this is how people have been making money for years illegally. But, luckily, there are more and more options for a long-term career doing this. First, you can work in or manage a dispensary. Right now these are only medical, but in the near future they are going to be used in the recreational market as well. Now is the time if there ever was one. You can also look into setting up an online business, just like Doob Dasher. Could you do it better? Probably not, since we’re the best around, but you are certainly welcome to try. We recommend starting off smaller and trying to work your way into the big time. Good luck. Now, you’re reading this blog, so you also know its a possibility. There is a serious market for writing about weed on all different levels. You could be a copywriter, making advertisements or product descriptions. You could be a blogger, just like yours truly. Or you could also be a full time magazine writer. As we’ve written about before, the weed stock market is booming right now thanks to impending legalization legislation that will take effect sometime in the next few years. If you have heard anything about it, you will also know that there is concern that this is a big bubble, and not a long term money maker. But like anything else, it will stabilize. And if you’re of a more adventurous lot, you might just want to say whatever and go for it. There is certainly serious money to be made in this business and its looking like it will stick around for at least the near future. Do some research into the top marijuana stocks, and think about investing some of your green in the green. Why didn’t we put grow here? Its because you can work on a farm without just being the grower. You can work almost as a farm worker, cutting down plants. Is it hard work? Of course, but it is fulfilling and legal, and you will probably get some good dough out of it. You’ll have to find a farm or major legal grow op, but they are sprouting up (pun intended) more frequently than ever. There’s no better time than now to end up working on a weed farm in BC or even in America. The other option is to try to obtain a medical license to grow your own weed. This is a much harder process and will require some serious capital to get going. But, if you do have that kind of cash at your disposal, remember that there are a lot of major competitors trying to get in on legal weed at the ground level. This is not an idea for beginners. This is a very specific job, and not as easy or exciting as it seems, but there are weed testers out there. They test for effects, flavor and numerous other things. You have to be good at that kind of thing and can’t just expect to get the job because you know a thing or two about bud. Still, if you can get it, it sounds like a lot of fun. The government needs to be able to test all of this stuff if it is going to become legal. So, why not get in on the ground level. There is probably a lot of demand for this, so get on it as soon as possible. Here is a site that lists some of the testing jobs available in Canada. So there you have it, make a living from the ganja. This is the real deal wagon wheel, so don’t worry about it. If you are ever unsure whether your chosen operation is legal or not, always do some research first. Its better to be safe than sorry. But anyway, you are all set to venture out into the world and make a big splash with some big money. So, until next time, stay rich!